It appears that I have one branch from the whole tree flowering...seems kinda weird. I stopped fertilizing September 15. 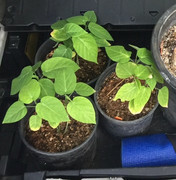 It is one of those Manila Seedlings from Home Depot. I am going to assume this has happened before to other people and would possibly know what is going on here. Just out of curiosity which tree/avocado would be the one to have? they have about the same season. Any suggestions/input is highly appreciated. It's from Australia. Does anyone know what cultivar it is? Trying to figure out what is going on here. 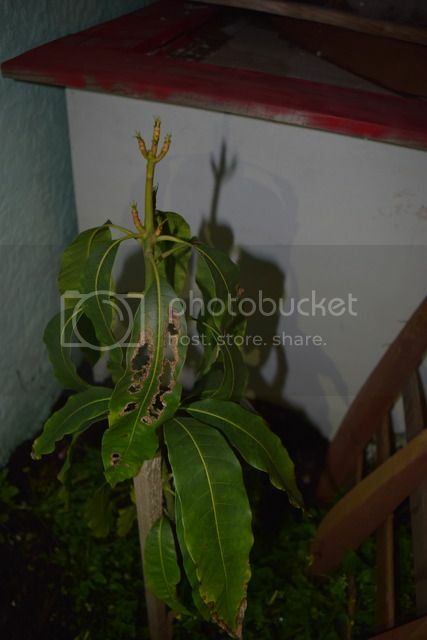 Is there little bugs eating the mango tree leaves....or is it like a sun burn? Wondering if this is EL BUMPO or NATA...can anyone verify? Got it from the Irvine cherimoya tasting...Im leaning towards saying its NATA. Just wondering if there is anyone out there in Southern California that has had success with Passiflora ligularis - Sweet granadilla. Just purchased a couple of them and any hints or tips on growing them would be appreciated. I have done a search about it but most results came back with negative results and most people saying it will not grow well in SoCal.